U.S. retailers are bracing for what’s expected to be the most robust kickoff to the holiday shopping season since the 2008 financial crisis — though shoppers will likely do most of their shopping online and some retailers won’t be open on Thanksgiving. Shoppers could spend more than $8.4 billion on electronics, clothes, toys and gifts between Gray Thursday and Cyber Monday, according to recent estimates by Adobe’s Digital Insights, the software firm’s digital marketing research division. The National Retail Federation estimates total holiday retail receipts could reach $655.8 billion this year, up 3.6 percent from the $632.8 billion last year. An improving economy will likely bolster holiday shopping this year, analysts say. The national unemployment rate fell to 4.9 percent in October as businesses added 161,000 workers to their payroll, according to the U.S. Labor Department. Average hourly earnings grew by 2.8 percent during the same period. The Texas economy has also been steadily growing. Employers added 13,700 jobs in October, dropping the state’s seasonally adjusted unemployment rate to 4.7 percent, the Texas Workforce Commission reported last week. Cyber Monday, when online retailers offer steep discounts, is expected to dominate the week with projected sales of $3.4 billion, a five-year high, according to data tracked by Adobe, beating out sales estimates of $2 billion on Gray Thursday and about $3.1 billion on Black Friday. For more information visit My San Antonio.com. 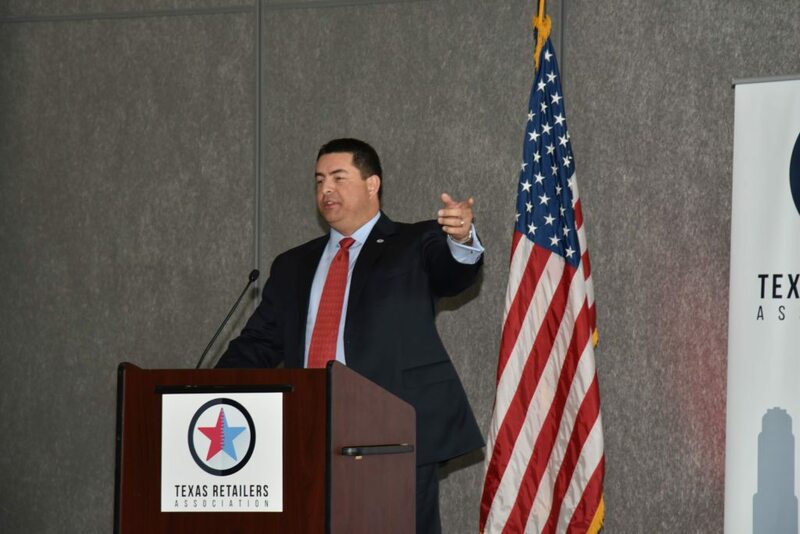 Houston’s Morning News with Matt Patrick welcomed our President and CEO, George Keleman to discuss whether retailers will be open or closed on Black Friday as retailers wage a battle for Thanksgiving.